Discussion in 'Mapping Questions & Discussion' started by KlashFire, Sep 13, 2015.
yes, I know ongetvalue and getvalue are a thing, but I am new to this and very confused. 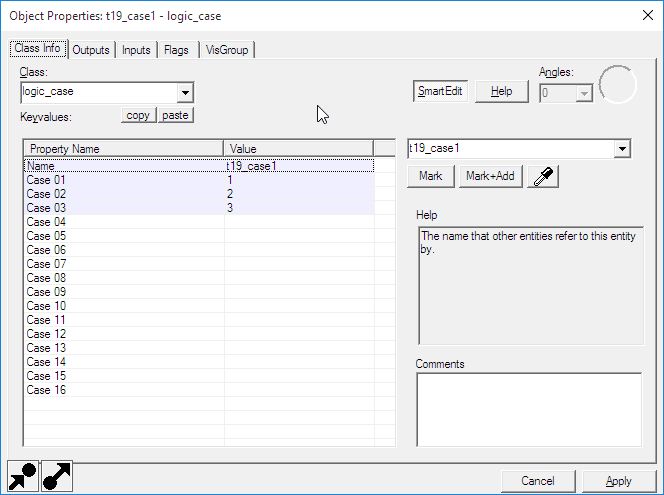 The OnGetValue will forward the current value to the reciving entity. So forward it to the logic_case entity. thanks, but can you show me how this would be done in an output. still a bit confused. I want to make it so that if the math_counter has a value of, lets say, 5 - a button will press in. also, weren't you one of the "hackers" on the ace attorney translation project? 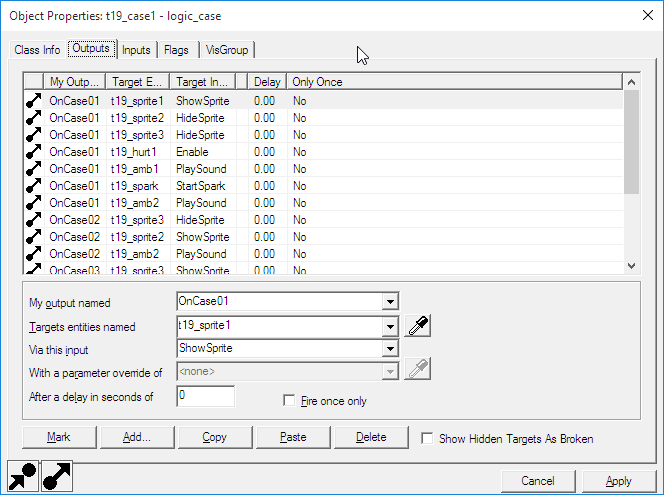 logic_case can be told to fire a specific set of Case outputs when you send it an InValue input. 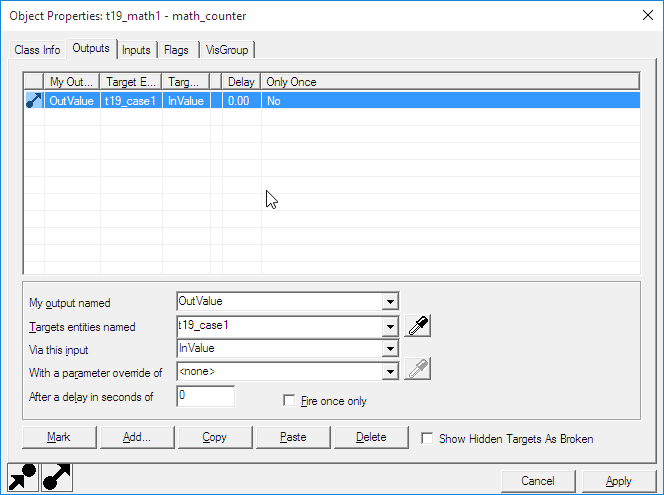 OutValue fires each time the math_counter's value is changed. So if you plan for something to happen on every math_counter value (say you have five buttons) then that's what you probably want to use. If you only want something to happen when the math_counter hits 5, then you set its Maximum Legal Value to 5 and you use the OnHitMax output instead. That fires when the math_counter hits its maximum value. The maximum value is clamped, so it will never go higher than that. 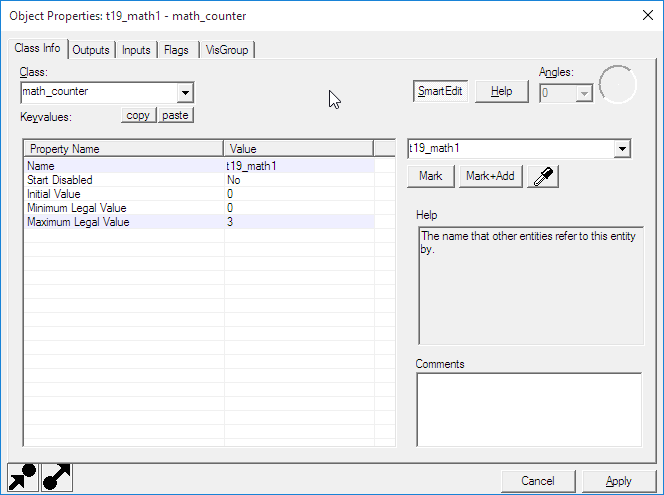 OnGetValue only fires when you send the math_counter the GetValue input. It's a good way of keeping track of a number, and then outputting it on demand. Not sure what you need all this for, but that's just so you know. See the inputs and outputs information for this entity at the wiki.